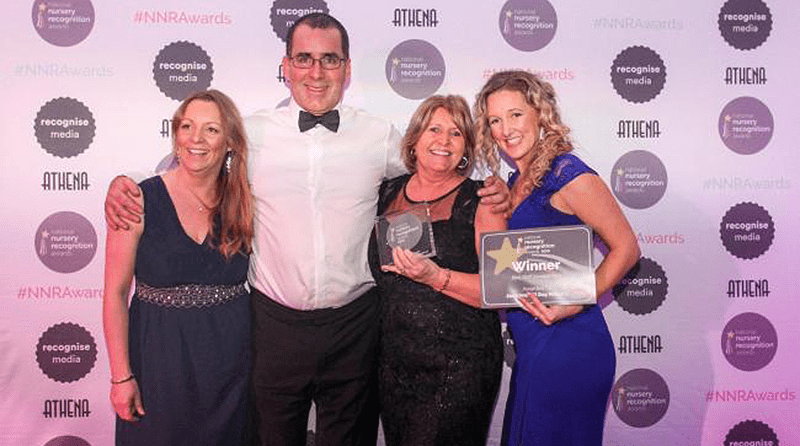 Jack and Jill Day Nursery and Pre-school won the ‘Best Staff Development’ award at the National Nursery Recognition Awards which took place in Leicester on 2nd February. The award recognises staff development in childcare settings. The nursery opened its doors 11 years ago and now has six settings in the area, and makes staff development one of its priorities. The nursery’s manager, Jo Williams, said to the Wirral Globe: “We are so proud that we have been recognised for our commitment to ensuring our children are cared for by qualified, quality professionals. “The Best Staff Development Award is already having an impact, as applicants are recognising us as an employer who values their staff. Lais Cattassini, the head of marketing at Recognise Media, the organiser of the awards ceremony, said to the Wirral Globe: “Jack and Jill Day Nursery and Pre-school has a strong commitment to staff development, making sure everyone working at the nursery is an expert in childcare.